Neenah resident Harvey Lorenz arrived at an American Red Cross staging area in East Texas on Thursday ready to assess the damage left in the wake of Hurricane Isaac. 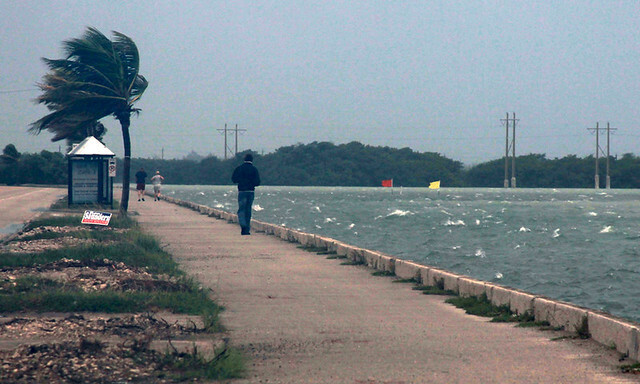 As the weakened and slow-moving storm soaked the Gulf Coast, Lorenz awaited word on when he’d put his training to use. “I have no idea yet,” Lorenz, 72, said Thursday afternoon. Lorenz is among 15 Red Cross disaster workers from northeast Wisconsin sent to the Gulf Coast to provide aid for victims of Hurricane Isaac. The hurricane made landfall late Tuesday and has caused significant flooding in coastal areas of Mississippi and Louisiana. The Red Cross has deployed more than 2,700 trained disaster workers from across the country to offer aid in the Gulf region. In the Fox Valley, Barbara Pilon of Neenah left for Texas on Wednesday to serve on a team coordinating the distribution of clean-up gear and Kathleen Brockman of Freedom headed to the Gulf Coast to help with health services. Dennis Nagan of Appleton drove the local chapter’s emergency response vehicle south and began distributing food, water and other supplies Thursday. 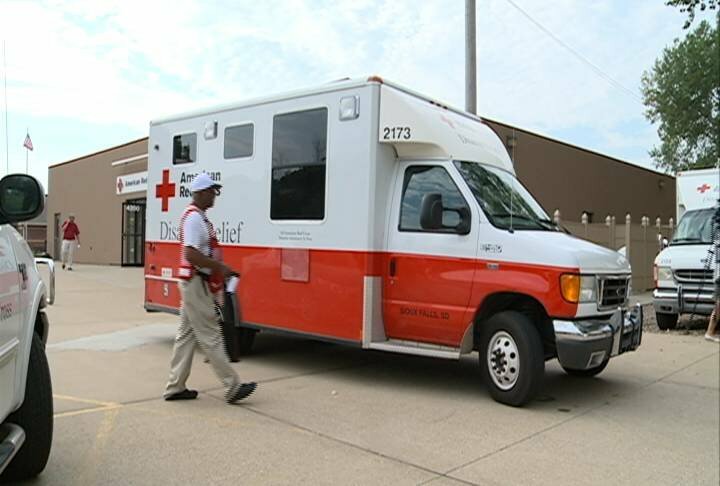 Barbara Behling, spokeswoman for the American Red Cross in Northeast Wisconsin, expects volunteers will be in the region for quite awhile. The first workers from northeast Wisconsin left for Florida a week ago thinking the Tampa area would suffer the brunt of the storm. “No one can truly predict what Mother Nature is going to do,” Behling said. Hurricane Isaac marks the 10th deployment for Lorenz, the Neenah resident who flew into Houston on Wednesday and traveled on Thursday to the Red Cross staging area in Orange, Texas, near the Louisiana border. His first deployment was in response to Hurricane Katrina, after which he worked as a case worker assisting evacuees in Tupelo, Miss. His latest deployment has been “relatively chaotic,” said Lorenz, who spent Wednesday night on a cot in a church with 110 people. But he is happy to help bring comfort to disaster victims. The American Red Cross has a massive relief response underway along the Gulf Coast where Isaac’s strong winds and relentless rain are continuing to leave flooded homes and thousands of evacuees in its wake. Overnight more than 4,700 people stayed in as many as 80 Red Cross or community shelters in seven states. More people may need shelter today as evacuations continue. In addition to staffing shelters, the more than 3,000 Red Cross disaster workers have already served more than 22,000 meals and snacks. People can click or text to donate by visiting www.redcross.org, calling 1-800-RED CROSS (1-800-733-2767) or texting REDCROSS to 90999 to make a $10 donation. MORE HELP ON THE WAY While focusing on providing emergency sheltering and feeding, the Red Cross is also starting to move more volunteers, equipment and relief supplies into communities as the storm exits. The Red Cross sent 311,000 ready-to-eat meals to the area, and the Southern Baptist Convention has mobile kitchens capable of producing thousands of meals a day prepositioned to serve cooked meals when it is safe to do so. Other community partners assisting along the Gulf include AmeriCorps, Islamic Relief USA, NAACP and the National Baptist Convention USA, helping with things like sheltering, feeding, driving disaster vehicles and logistics. STAYING SAFE People along the Gulf Coast should follow instructions from officials on when to evacuate and when it’s safe to return home. 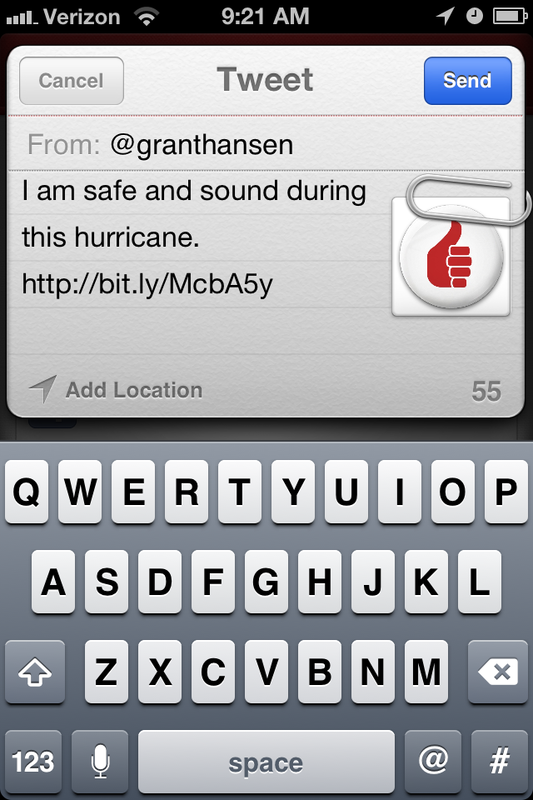 They can let loved ones know they are safe by either downloading the Red Cross Hurricane App and using the “I’m Safe” button to post a message to their social media accounts, or registering on the Red Cross Safe and Well website. The hurricane app can be found in the Apple App Store and the Google Play Store for Android by searching for American Red Cross. It also provides important safety information and a toolkit with a flashlight, strobe light and alarm. The Safe and Well website is secure and people can register by visiting www.redcross.org or calling 1-800-RED-CROSS (1-800-733-2767). This site also connects with the Twitter and Facebook accounts of users. By Sarah Thomsen – bio | email – WBAY – click HERE for video of story. Hundreds of people rolled up their sleeves and donated blood at the Packers training camp blood drive Wednesday. Many of them also became bone marrow donors at the same time. Mary Homel and Phil Enderby don’t know each other but Wednesday they had one thing in common: They both signed up to save a life. “It just seemed like something that was easy to do and could possibly go a long way for someone else,” Enderby said. With just the swab of a cheek, both officially became bone marrow donors. It was the first time in our area the American Red Cross held a bone marrow registration drive in conjunction with a blood drive. It’s teaming up with the non-profit DKMS Americas to add donors to the National Bone Marrow Registry. “We’ve had volunteers trained to talk to people about who you benefit, leukemia patients and people with other blood diseases. So it just seems like a fitting pair to do both today,” Bobbi Snethen, Red Cross communications program manager, said. A big push to become a donor started when Good Morning America co-anchor Robin Roberts announced she needed a bone marrow transplant. Action 2 News has also profiled two children in our area, Mira Erdmann and Charlie Knuth, who each needed life-saving bone marrow transplants. The idea for this drive started with a passionate family. “We actually encountered a mother who is a huge advocate, and her son had passed away from leukemia and she was talking about the need to get people on the registry,” Snethen said. Since it’s the first time, the Red Cross doesn’t know what to expect but says it was pleased with the steady line of people becoming donors. “I think it’s important to give back, and it’s something I feel like a lot of people could do, and now I’m one of those people,” Enderby said. With Isaac poised to make landfall in the same areas of the Gulf Coast struck by Hurricane Katrina seven years ago, the American Red Cross has a series of tips for families and individuals in the region that may experience anxiety about the storm and anniversary. Across multiple states along the Gulf, the Red Cross has launched a large disaster response as Isaac affects millions of lives with strong winds, heavy rain, flooding and coastal surges. Last night, nearly 800 people found a safe haven in 52 shelters open in five states. In addition, the Red Cross has mobilized 2,400 disaster workers, prepositioned 290,000 ready-to-eat meals and activated 187 emergency response vehicles from across the country to help. The Red Cross is also coordinating with multiple partners including a variety of civic groups, advocacy organizations, professional organizations and houses of worship to share their expertise and volunteers. The Red Cross recommends that people be mindful that community members and disaster workers could experience anniversary reactions now or in the near future. Reactions can range from a mild upset for a day or two, to a stronger version with anxiety or depression. Most people will feel better within a week or two after the anniversary date as stress responses usually become less frequent and less severe over time. Stay informed and be prepared. If in the potential path of an approaching storm, pay attention to information and warnings from local authorities. Stay positive. Remind yourself how you’ve successfully coped with stress in the past. Reach out when you need support, and help others when they need it. Reach out to a Red Cross Disaster Mental Health or community mental health professional for support, if the actions above don’t help or to get more support. You can also contact the 24 hour National Disaster Distress Hotline at 1-800-985-5990. Isaac is predicted to trigger a large and prolonged disaster response with major flooding across several states. People can call, click or text to donate by visiting http://www.redcross.org, calling 1-800-RED CROSS (1-800-733-2767) or texting REDCROSS to 90999 to make a $10 donation. By: Kris Schuller: wearegreenbay.com – Click HERE for video of story. GREEN BAY, WI (WFRV) Wisconsin workers and volunteers are already heading south to help with storm damage from Tropical Storm Isaac. The American Red Cross is busy preparing its response to the damage Isaac is expected to bring to the northern gulf coast. Fifteen-hundred disaster workers have been deployed to the area, ten of which are from Northeast Wisconsin. Monday evening – one of those volunteers left Green Bay, on a 16-hour drive to New Orleans. As Tropical Storm Isaac races toward the northern gulf coast, slowly growing in intensity, Dennis Nagan prepares for a 1-thousand mile trip, to deliver an emergency response vehicle, for use at shelters in New Orleans. So far Isaac has brought heavy rain, power outages and flooding to Florida. But with storm surges expected to reach 12-feet along the northern gulf coastline, many more may find themselves displaced. The mission of the vehicle is to aid in the distribution of food to disaster victims. “We can take it to areas affected, so as people clean their homes they can get a little comfort, said Jody Weyers of the Lakeland Chapter of the American Red Cross in Green Bay. The emergency response vehicle is one of 150 such vehicles, owned by the National Red Cross and stored at local chapters across the country. With Tropical Storm Isaac expected to intensify in the coming days, a call came in from the national office this afternoon – requesting this vehicle be sent a.s.a.p. “You are right out in front with people who really need the food, goods and supplies the Red Cross provides and I take it seriously, it’s an honor to do it.” said Nagan. With 42 shelters currently in operation in Florida and evacuations ordered in low lying areas of Louisiana, the Red Cross expects more shelters will be opening soon. And by early tomorrow Nagan will be in the middle of it all, driving a vehicle which brings hope, by helping feed the hungry. Depending on the damage suffered, Nagan could be away from his family in Appleton for up to three weeks. Two Great Organization Coming Together to Save Lives! WASHINGTON, August 26, 2012 —As Tropical Storm Isaac marches north, the American Red Cross opened shelters in Florida today and is prepared for widespread flooding and sheltering a large number of people throughout the state. The Red Cross has deployed more than 1,000 disaster workers throughout Florida and has materials and supplies positioned for use, including pre-stocking 30,000 ready-to-eat meals in Florida and two mobile kitchens sent to the state. With Isaac’s effects already being felt in parts of the state, people in Florida should stay informed on the storm’s progress from the National Weather Service. As the storm approaches, people should be prepared to evacuate if directed to do so by authorities. As of noon, the Red Cross has nearly 20 shelters already open in Florida and is poised to open more as necessary. If someone needs to find a Red Cross shelter, they can download the Red Cross Hurricane app, visit redcross.org, call 1-800-RED CROSS (1-800-733-2767), or check their local television, radio and newspaper. It’s also important to stay in touch with family and friends, and the Red Cross Safe and Well website is a secure and easy-to-use online tool that helps families connect during emergencies. To register, visit http://www.redcross.org or call 1-800-RED-CROSS (1-800-733-2767). This site also connects with the Twitter and Facebook accounts of users. Meanwhile, the Red Cross also is mobilizing disaster workers, emergency vehicles, mobile kitchens and relief supplies to Alabama, Louisiana and Mississippi as Isaac is expected to move into that area in the next few days. The Red Cross is urging residents in areas that could be affected by the storm to be preparing now. Isaac is expected to cause serious flooding throughout the region, and people can donate by visiting http://www.redcross.org, calling 1-800-RED CROSS (1-800-733-2767) or texting the word REDCROSS to 90999 to make a $10 donation.